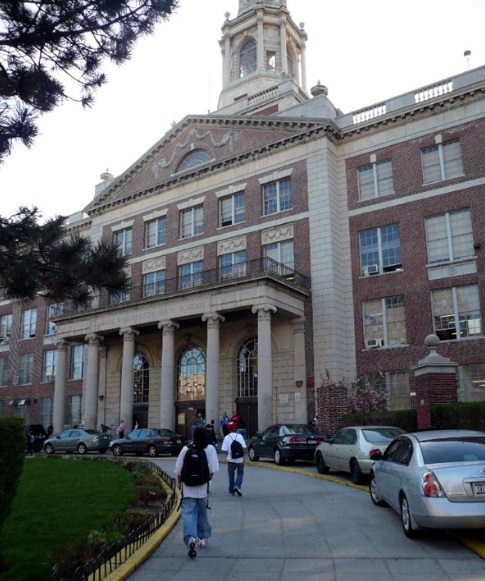 High School for Health Careers and Sciences, High School for Law and Public Service, and The College Academy to host a Citizenship drive at the Historic George Washington High School Campus in Washington Heights which the four high schools share. DUSA is a young organization founded in 2013 in New York. and is dedicated to mobilizing and empowering the Dominican-American community through civic, social, and economic engagement. In partnership with organizations such as NALEO, GMHC, UFCW, NMCIR, CUNY Citizenship Now!, and New York Cares, the event is expected to serve over 100 legal permanent residents eligible to apply for citizenship on the day of. In addition to assistance with the citizenship application, participants will also fill out a fee waiver application and sit with an immigration attorney to determine if they are eligible to apply. The event was created with the ambitious goal of helping as many individuals as possible become citizens in time for the highly anticipated 2020 elections. As of 2018, DUSA has assisted over 1,000 individuals, predominantly Dominican, apply for U.S. citizenship. However, their vision does not end there. The organization strives to ensure the future of voting power for Dominicans in the United States through its extensive get-out-the-vote campaign. Since its inception, DUSA has reached out to voters over 739,000 times via phone, door to door contacts, direct mail, and text messages. This entry was posted in Dominican, Dominicans, education, Washington Heights and tagged Dominicanos USA, George Washington Campus, New York Cares, Washington Heights by Harlem World Magazine. Bookmark the permalink.